As CEO of EditStock—a company that sells unedited footage and provides creative feedback to those looking to learn or practice video editing—I review hundreds of cuts each year. I also judge film festivals such as the BEA Festival of Media and the national Student Television Network conference. So, I’m very familiar with the mistakes most burgeoning editors make—but there’s one area in particular they all seem to struggle with: Style. Now, I know what you’re thinking—how do you measure or even critique something as subjective and abstract as “style?” Well, for starters, let’s define what I mean by style as it relates to editing: Style means the way in which an editor can enhance an image in order to further the story. Typically, newer editors are eager to cut dialog scenes, but are more hesitant to cut montages and create effects. The preference isn’t a technical one because new editors can be very well versed on editing software. Insead, it’s because dialog scenes have a built-in, commonsensical structure for editors to follow—namely, the script. Montages, on the other hand, don’t appear to have the same kind of creative roadmap, and that freedom can overwhelm beginners. But the thing is, there is a roadmap. You just need to know how to read it. I’ve learned from some of the best working on shows like Wayward Pines and Jobs, and in this article, we’ll explore how professional editors discern what I call “mini-stories.” We’ll cover how they use those mini-stories to narrow down their effects choices and implement a clear, functional style that highlights, not hinders, the larger story they’re telling. For this exploration of style and story, the film I’ll be using as an example is The Boxer, directed by Alexandra Boyd. The Boxer premiered at the Princess Ann Theatre in London (home to the British Academy of Film and Television Arts, or BAFTA) and won 15 international film festival awards. New editors often misunderstand the concept of style, thinking that stylized effects are only used to make footage look “cool.” When I was learning to edit, montages, action scenes, and music videos filled me with self-doubt. I was convinced that whatever “cool gene” was needed to make a killer effect, I didn’t have it. Some editors, I assumed, naturally have a keen sense of style, while others don’t. Well, that’s malarkey. Professional editors aren’t “blessed” with a sense of style. They simply know (because they have learned) that style serves a purpose, and that purpose is to emphasize a story beat. In other words, to begin to understand style is to learn how story beats and stylized effects work together. A story beat is something that happens within your story. Beats are small moments that characters have along their story’s journey—for instance, a shift in their understanding, a new obstacle they encounter, a new choice they make. The trick is to find creative ways to accentuate those moments. However, for new editors, the first step of identifying story beats can be difficult and intimidating. Watch the video below. This cut has story beats, but no effects have been added to create a style. Can you tell what those beats are? Beat 1: The Opponent (left) lands a punch. Beat 2: The Boxer recovers and also lands a punch. Beat 3: The Boxer dominates the rest of the round and wins. The most obvious place to look for story beat clues is in the script. You can begin by asking yourself, “Why is this beat in the movie?” Understanding a beat’s function can help distinguish what its most important story elements are. Additionally, screenwriters will often create what’s called a “beat sheet,” which essentially acts like the skeleton the story hangs onto. By studying this excerpt from the script, we see that the writer intends for this moment to be the turning point of the fight, where the Boxer starts (and continues) to win. You can also get story beat clues from the footage itself. For example, if the director filmed something in slow motion, he or she likely intended for some part of the shot to be shown in, you guessed it, slow motion. The director’s choice to use slow-motion strongly indicates that the shot—and its story beat(s)—should somehow be emphasized. Same goes for the use of special lighting, camera moves, or anything else that makes certain shots stand out. Let’s take a look at the “slow motion” version of the first beat. When I’m analyzing a cut with a fellow editor, sometimes we’ll literally say the mini-story out loud to each other, because talking it through helps you find excess shots or moments that could be condensed (or taken out entirely). I also recommend watching your cut with the sound off while you say your story out loud. That way, you can really focus on what the picture is telling you. Sometimes, a director may disagree with your “mini-story”; but showing the director a cohesive cut is always better than showing him or her a collection of shots with no clear intention. Mini-stories are especially crucial in reality television editing, since there usually isn’t a script to follow. 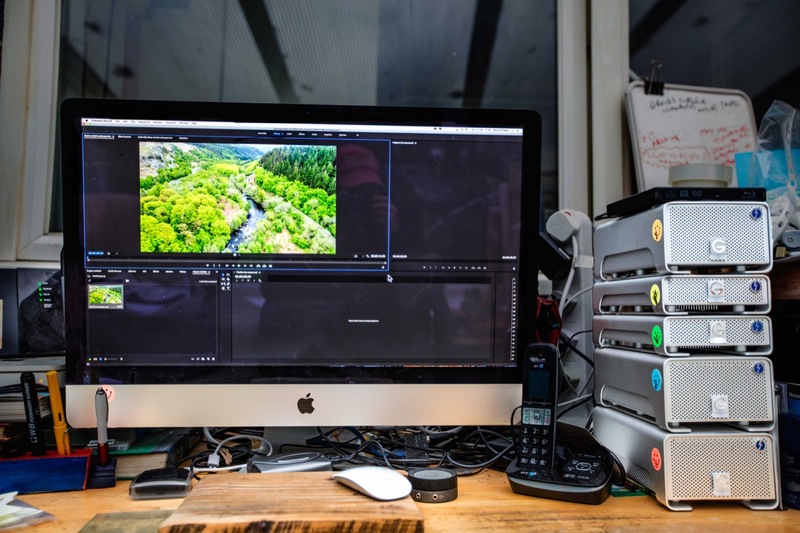 Instead of grazing through a field of footage looking for ideas, professional reality editors come up with a mini-story (often with input from story producers) and start looking for specific shots (often with help from their assistant editors). A great reality television editor can turn just about any moment into a story beat. 1) To enhance a beat that is slow or boring. Let’s start with the first, and arguably most obvious, case. Have you ever heard a director say something like, “Help me spice this moment up?” Take a look at the final sequence of The Boxer to see how editor Matthew McKinnon added style elements to it. There are a couple of other important points to note in Matt’s cut. First, each time slow motion was used, it was placed directly on a story beat. Also, each beat was much longer than in the previous example. Beats can expand and contract; in the same vein, sometimes two beats need to be consolidated into one, and sometimes one beat needs to be split in two. In the editing room, a director might say something like, “That punch didn’t feel like it hurt too much.” What the director is saying is that the beat needs more emphasis, and that emphasis is often achieved through effects such as slow motion, jump cuts, and resizes. 2) If the director has clearly intended for an effect to be used (e.g., the slow motion example from The Boxer). Directors often communicate their intentions during production; ideally, they do it orally or in the script notes, but sometimes—as noted in the previous section—their intentions can be seen by studying the footage, and how some shots may differ from others. 3) The story beat is not supposed to reflect real life (or “real time”). Dream sequences, flashbacks, and time-lapse montages are good examples of cinematic phenomena that humans do not experience in real life or in real time (well, we can have a memory or a dream, but we can’t see someone else’s unfolding). These beats, therefore, allow an editor to use effects, such as color (e.g., a sepia tone can tell viewers that what they are watching something from the past). Which brings us to the different types of effects an editor can use, which can be parsed into three categories: realism, hyper-realism, and surrealism. Most movies are made so viewers feel as though they are witnessing “real life” unfold—therefore, most effects are used to achieve this illusion as well. Common realistic effects include match cuts, and eye trace to transition from one scene to another. Below is a match cut effect that editor Matthew McKinnon used to transition The Boxer from the boxing ring back in time to his training ground. Realistic effects are found in every genre, but are relied on most heavily in scripted films and television series. These effects are not supposed to stand out; rather, they are supposed to feel seamless and natural and make the audience feel like the story is unfolding organically in real space and time. Hyper-real effects, on the other hand, draw the viewer’s attention to a particular moment by exaggerating or heightening the reality of the film, and are used a lot in the following cases: a character’s sudden realization; a character’s “my-life-flashed-before-my-eyes” moment; a character’s specific point of view (especially if they see or understand the world differently, think a prodigy or a psychopath); or the brief moment when the character does something very important to the story (e.g., when a sports player attempts the winning shot). Adding a little camera shake effect on a punch or adding speed ramps are common examples of hyper-real effects. Hyper-real effects focus viewer’s’ attention on significant story beats, or speed-up a moment that would otherwise feel tedious or dull. Most new editors get into trouble by placing hyper-real effects in too many moments, which can take away their “punch” and emphasize moments that aren’t very important (and if the majority of moments are emphasized, then few, if any, are really emphasized at all). Hyper-real effects are most effective when used deliberately and sparingly. Finally, there are surreal effects, which make no attempt to emulate or enhance real life. Light leaks, video glitches, and “wipe” transitions, are all part of this category, and they all have the same goal… to make the footage look “cool” (I guess my first misunderstanding of “style” wasn’t all wrong). Surreal effects are mostly found in commercials and music videos; they are less commonly found in scripted TV or film, where they might shatter the viewers’ illusion that they are watching real life unfold. That’s why surreal effects were not used in The Boxer. There are two schools of thought as to how surreal effects can be created; by computer algorithms, or organically in the camera either during production or in a controlled filming environment. Therefore, surreal effects are broken up into two distinct categories: plugins and filters (computer-generated) and overlays (shot in the camera). The first method uses filters and plugins that come preloaded with any editing software, and that rely on computer algorithms to create an effect. Companies such as Boris FX specialize in building advanced versions of such plugins. The benefit to using computer-generated effects is that every parameter is adjustable by the editor. For example, Boris has an effect called Damaged TV, in which an editor can add scan lines, snow, grain, color bleeds and more—and all are completely adjustable with the roll of a slider. Overlay effects, on the other hand, are generated organically through the camera. In the past, overlay effects such as lens flares, light leaks, and film grains may have been considered mistakes in a film’s cinematography; today, however, many of these effects are intentional and designed to add style to an image. The only real downside to overlay effects is that editors cannot adjust them in post. Style is personal, meaning there are as many ways of creating effects as there are editors creating them. Discovering your personal style as an editor may take years of exploration—not only by watching TV and movies, but also by listening to music, reading graphic novels, and even looking at paintings. Essentially, many kinds of art can help inspire, inform, and shape your style. However, keep in mind that if you’re editing on a television show, you may not have the same stylistic flexibility as you would when working on personal projects. A TV show often adheres to a particular style that may be integral to its look or brand. This style is usually created by a lead editor—most often the person who edited the pilot episode who creates a bin of effects for the other editors to use. These effects ensure that the episodes look consistent, since viewers should not be able to tell which editor edited what episode. Remember, making strong and impactful style choices begins by identifying important story beats, recognizing what kinds of effects would serve those beats best, and using those effects strategically to enhance storytelling—the most important foundation of any project. Beneath the surface of even the most complex, elaborate, effect-laden timeline is a professional editor who built it using these fundamental tools to navigate the infinite number of ways a montage can be assembled and stylized. “Give it more style” is arguably the most ambiguous note a director can give an editor, but I hope this article has prepared you to tackle it. Thanks for reading! Thank you to Misha Tenenbaum for contributing this article. Misha Tenenbaum is the founder and CEO of EditStock.com. He has logged over 5,000 hours of union work on TV and film projects including the FX series American Horror Story, the feature film jOBS, and FOX's Wayward Pines. EditStock works to make sure that aspiring editors everywhere can develop themselves into accomplished professional editors. « Harold Green Unboxes Frame.io Dreamstation. Makes Us All Jealous.